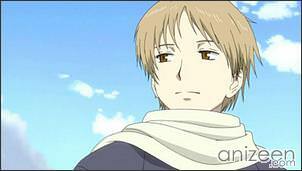 High school student Natsume Takashi has been able to see youkai since he was a little boy. This hasn’t done him a lot of good, since no one believes him, and it tends to leave him a bit isolated. Natsume’s usual response when he is accosted by a youkai is to find the nearest jinja, which tends to get rid of the spirits. 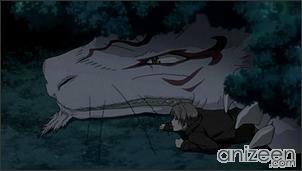 But one day Natsume is being chased by a large youkai with a huge single eye, who keeps on calling him Reiko, which was his grandmother’s name. He can see spirits, just like his grandma Reiko could. 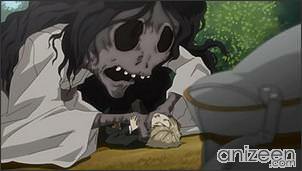 Reiko, though, used to bully the spirits, and bound them to her will in the “Book of Friends“. Now that Natsume has inherited this book, a never-ending stream of spirits is coming after him. With the help of a spirit cat, Madara, Natsume spends his days dissolving the contracts that bind the spirits and trying not to get killed. In Zoku Natsume Yuujin-Chou, Takashi is sitting on a wall and reminiscing about his past, but just when he is about to get maudlin, his chain of thought is interrupted when he is hit by an errant soccer ball. Takashi isn’t hurt, but when he looks for ball he finds a skeleton spirit who wants the Book of Names. 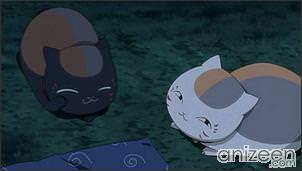 After that, Takashi and Nyanko-sensei try to find a black version of Nyanko-sensei who steals the Book of Friends. They run into more spirits, including a butterfly-girl spirit named Benio who is an old friend of Madara and Reiko, and finally a powerful spirit who has gone missing for a long time. 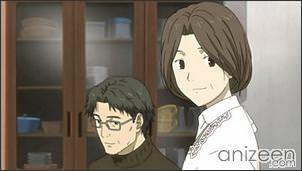 Natsume Takashi is the main character of the story. 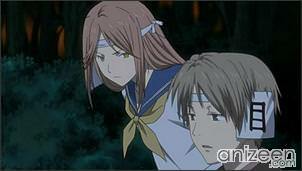 Like his grandmother, Natsume Reiko, Natsume has the ability to see spirits. 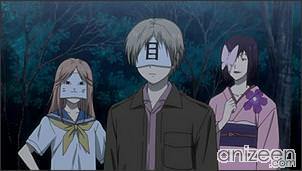 He has inherited the Book of Friends, a book of names that no one but Reiko, Natsume, and other spirits can read. Because of Natsume’s strong resemblance to Reiko, he is often mistaken for her, causing spirits who hate Reiko to chase him constantly. He decided to dissolve the Book by giving all the names back to their owners. 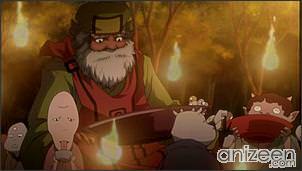 He is accompanied by the spirit Madara, nicknamed “Cat” because of the spirit’s appearance, and has promised that to pass the book on to Cat when he dies. Madara is a mysterious feline spirit. Madara was sealed in to a shrine, before accidentally getting released by Natsume. 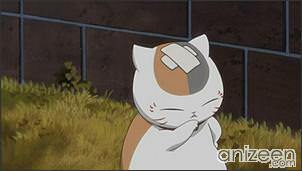 Because he was trapped for so long, Madara has shaped in to a “fortune cat,” leading Natsume to nickname him Cat. 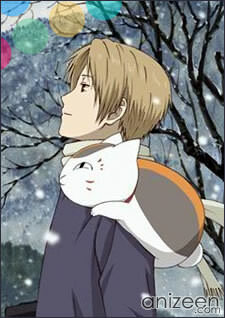 In this form, other people could see him, leading for Natsume having to ask his guardians if he could keep him. 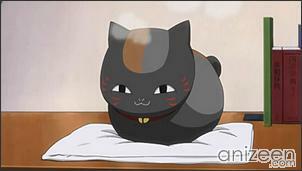 He is a powerful spirit, who protects Natsume from others, and teaches him spells on occasion. 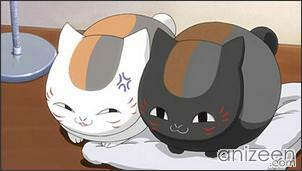 They often fight each other, which leads to Natsume punching Madara on the face and knocking him out. Despite his protests of not being a cat, he likes to play with cat toys. 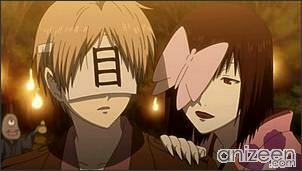 Natsume Reiko is Natsume’s grandmother, from whom he inherited the ability to see spirits. When Reiko was young, she was considered a freak by everyone else because of her ability. Since she believed no human could ever understand her, she turned to the spirits for companionship. Reiko’s power was extraordinarily powerful, and so she bullied spirits in to obeying her by playing games with them. If they lost, she would make them give her their names. Reiko gathered the names in to the Book of Friends, and commanded most spirits, except for Madara, who beat her in a game. Reiko died when she was young, so no one remembered her. Zoku Natsume Yuujin-Chou (続 夏目友人帳) is a japanese manga by Yuki Midorikawa serialized in LaLa DX (Hakusensha) from 2005 with 5 volumes (ongoing). This is the second anime series, it is produced by BAS and Brains Base. It started to air in January 6, 2009.